Spring has finally arrived and millions of people all around the world are planning their spring break vacations and family summer trips. For some, these trips will be weekend getaways and for others...1-2 weeks of pure vacation bliss! Whatever you choose to do, it is important to get away, relax and unwind for a bit. To enjoy a spring weekend in a special way, why not considering a relaxing getaway in Italy? 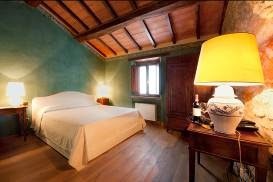 In one of the most beautiful regions of this country, here it is, far away from the mass tourism, an authentic temple of wine : Terenzi winery with its evocative and cozy lodging house. Famous for its high quality wines, among which the flagship one is Morellino of Scansano, the Locanda Terenzi, in the heart of Maremma, is the place to be: special holiday packages have been thought expressly for weekends. The guests will be snuggle with two offers in the name of relax and taste, starting with a visit of the cellar matched with wine and local delicatessen tastings. To relax and enjoy a condition of peacefulness, there is the free entrance to Saturnia natural thermal baths, with their warm open-air pools. Last but not least, for adventure’s lovers, Terenzi recommends to discover on horseback the wonderful hills embroidered with vines and olive trees which surround the estate. - Free entrance for two to the Saturnia thermal baths. You can get additional information about this Spring Weekend Getaway offer by calling the phone number listed above. Enjoy!